TAMPICO – Marjorie "Marge" Lindsay, age 67, died Friday, October 16, 2015 at CGH Medical Center, Sterling. 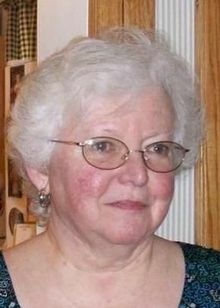 Marge was born on August 26, 1948 in Morrison the daughter of John E. and Esther (Eads) McKenna. She married Robert Lindsay on January 3, 1989 in Clinton Iowa. Marge was employed as a Cashier with Eagles in Sterling for 23 years retiring in 2007. She was a member of Harvest Time Bible Church, Rock Falls. Survivors include her husband, Robert of Tampico; four daughters, Mary (Sheldon) VonHolten of Walnut, Jennifer (Frank) Spooner, Cathy (Eric) Arduini both of Rock Falls and Rebecca (Korry) Tessen of Bettendorf, Iowa; two sons, Tom (Valerie) Woodcock of Dawsonville, Ga. and Alan Lindsay of Tampico; three sisters, Diane Bass of Carthage, Mo., Susan (Larry) Bushman of Rock Falls and Barbara (Clarence) Maddox of Cincinnati, Ohio; three brothers, Chuck (Deb) McKenna of Rock Falls, Leroy McKenna of DeKalb and Jerry McKenna of Carthage, Mo. ; 18 grandchildren. She was preceded in death by her parents; three children in infancy; two grandsons; two sisters; one brother. Gathering of family and friends will be from 10:00 – 11:00 AM Friday, October 23, 2015 at Harvest Time Bible Church, Rock Falls. Memorial services will follow at 11:00 AM with Pastor Dalmus Meeks officiating. Arrangements were completed by the McDonald Funeral Home, Rock Falls.